The structural soundness of ovoids and the added properties that make them the ideal shape to hold life in the natural world. Eggs get broken all the time. So why are these people struggling to break them? And why are eggs shaped like this anyway? Eggs need to be strong so they can resist damage from bad weather, other animals, and nesting mothers. 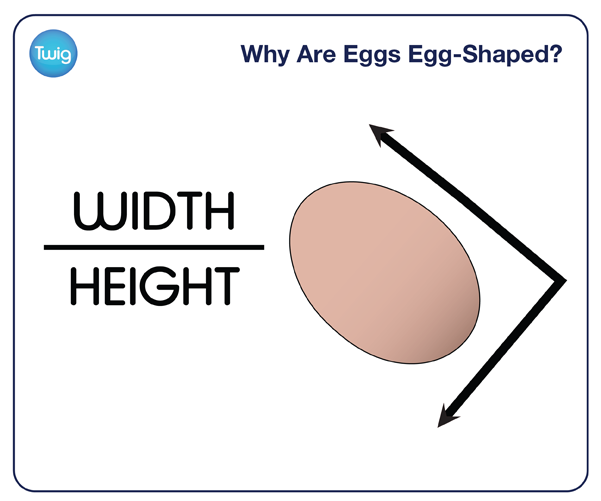 The strongest shape for an egg would be a sphere, because stress would be equally distributed along the arcs of its whole shape. However, a sphere would be impractical, as the egg would easily roll away. As an ovoid shape, an egg rolling down a hill will roll in a circle around the pointed end, and come to a stop with the pointed end facing uphill. For this reason, birds that nest on cliffs lay eggs which are more oval than those that nest on the ground. This is so the eggs will roll in tighter, smaller circles, making them less likely to roll out of the nest. Another practical advantage of the ovoid shape is that it allows multiple eggs to fit together snugly in the nest, with only small spaces between them. This allows heat to radiate between the eggs, so they can keep one another warm. And more eggs can fit into the nest. Like any curved or arched shape, the strength at any point of an oval is inversely proportional to the radius of its curvature. Therefore the smaller radii at each end of the egg have great strength, and the wide radii at the sides of the egg are considerably weaker. This is why eggs can withstand vertical pressure, but can be cracked with ease horizontally. 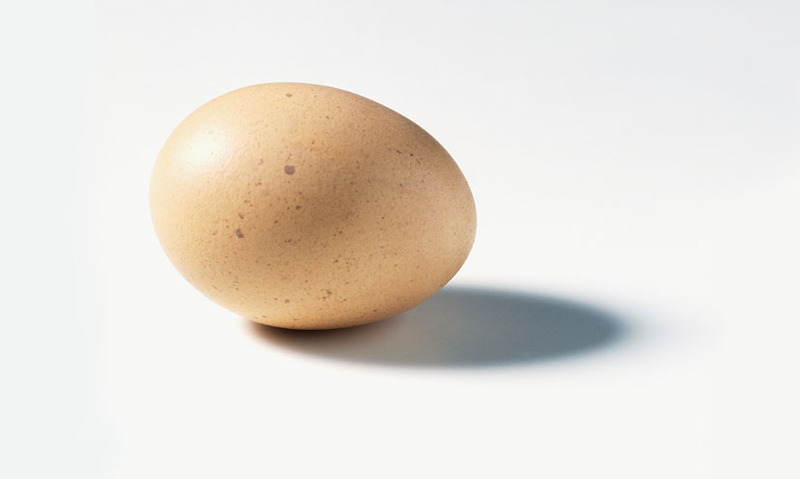 So the classic ovoid shape that the egg has is a compromise between strength and practicality. Which works out perfectly for this nesting mother – the strong ends protect her young while the sides are weak enough for her hatchlings to break through.